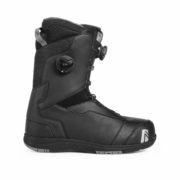 This new addition to the line is a clean, mid-stiff model designed for maximum comfort, efficiency and adjustability with an asymmetrical boot and closure system. 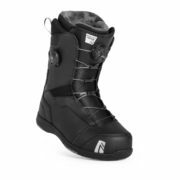 The Bronze-Level Heat Moldable liner, with reverse-cut cuff guarantees a perfect ergonomic fit, while the dual-dial Boa® Focus Closure System controls the fit and support of the upper and lower sections making these boots highly customizable and easy to tighten. This is very possibly the best fitting, best value boot on snow. Customizable fit and feel made affordable, with the Bronze-Level Heat Moldable liner. Targeted thermo-form foam, our innovative and comfortable reverse-cut top cuff, multi-layer J-bars and tethered liner lacing with a no-drift Velcro custom closure offer comfort and performance for happy feet, day after day, season after season.